More than just the same old recreation day! 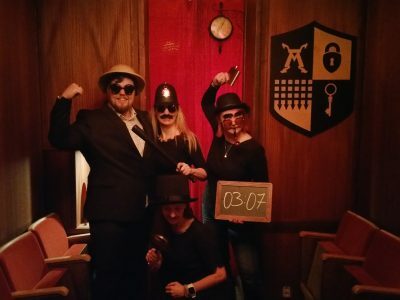 Solving mysteries in an escape room game is a new way of having fun with colleagues. 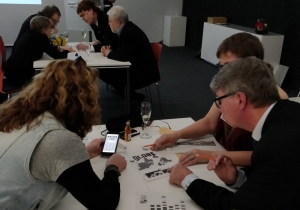 In addition to bonding through solving puzzles together, the interactive nature of the experience offers a new way to get to know your colleagues outside of the workplace. In addition to the escape room experience, we can also arrange various activities, such as ice-swimming, sauna, dinner, drinks and much more. So, try something new and come solve mysteries through time and space with your co-workers! Let your team members show what they can achieve together! Solving puzzles together with your co-workers is a new and exciting experience that can glue your team together even better. 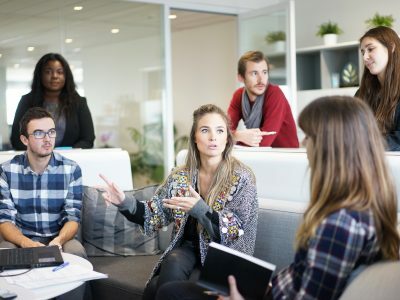 We offer a team building development package that can refine management skills management skills, increase team cohesion, identify leadership potential, and improve communication within your team. Contact us to find out how we can help you and your team have fun while solving mysteries across time and space! Liven up your event with a mystery! CLU TKU is an experienced event organizer. Our puzzle designers can make your event very special by creating a completely custom experience for up to 200 participants that would be looking for clues, solving mysteries and winning prizes. We can organize escape room experiences for such events as trade fairs, corporate retreats, meetings, and training sessions. The experience can also be adapted for weddings, birthdays, anniversaries, reunions and sports events. Our interactive experience will make your event memorable and add value to your brand. The adventure can be customized to include your company’s products, services or personal story. Please contact us well in advance if you are interested in this customized mystery experience! Hanna Euro from LPR-arkkitehdit Oy together with her colleagues got led into a quagmire arranged by the detectives of CLU in the architects’ pre-Christmas party in December 2018. How did it go? The joy of figuring it all out inspired the teams onwards while they solved the tricky puzzles, which also, alongside with their patience, tested their sense of humor and team spirit… CLU’s detectives happened to have inside knowledge about the architects’ mutual secrets, and this knowledge was of course utilized! If you are interested in a customized time travel experience with matching puzzles for your company, please don’t hesitate to contact us!